SBI Specialist Officer Vacancies for 2015-16 are out. Though the number of vacancies are less, but, given the salary structure and facilities, which SBI provide, one should definitely give it a try. Click below to download Official Advt. 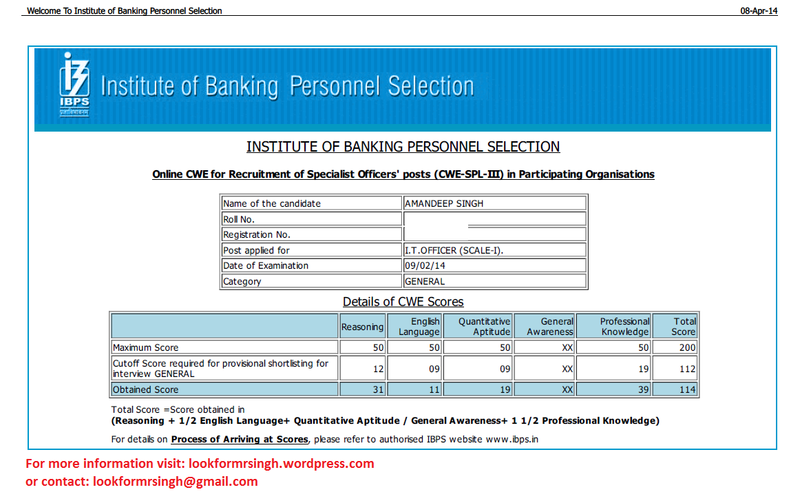 IBPS CWE SPL IT 3 Cut Off for general candidate was 112.